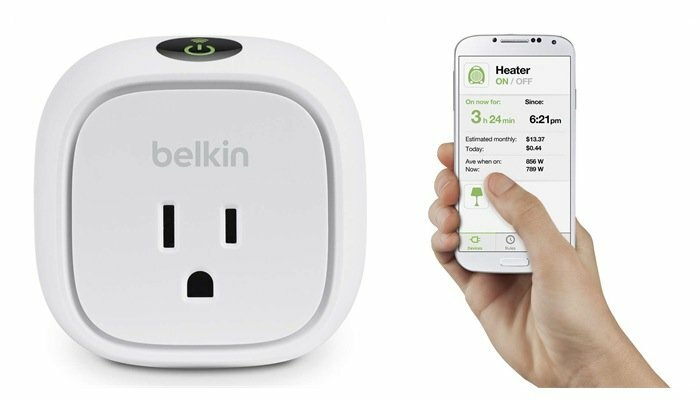 A Wi-Fi enabled switch that connects your appliances and devices to your network, the WeMo Belkin Switch allows users to program customized notifications, changes device statuses, and turn devices on or off, from anywhere in the world. A highly convenient gadget for those who are often busy and on the go, this switch also allows users to monitor the usage of electronics and is even capable of sending information about the energy usage of devices, directly to your tablet or smartphone. A versatile product, the WeMo Belkin Insight Switch can be used on appliances such as washing machines, dryers, space heaters, televisions, fans, lights, and much more. What’s more, by downloading the free WeMo app you can create an array of rules and custom schedules from any smartphone or tablet that you choose. A highly flexible app for users of all kinds, the WeMo app allows you to set up rules and schedules that are as simple to create as they are to change. You can even receive notifications about the activity of your electronics as often as you choose. A cool little contraption for the hugest gadget lovers amongst us, try the new WeMo Belkin Switch today!